fertilizer placement, on each row, in every condition. 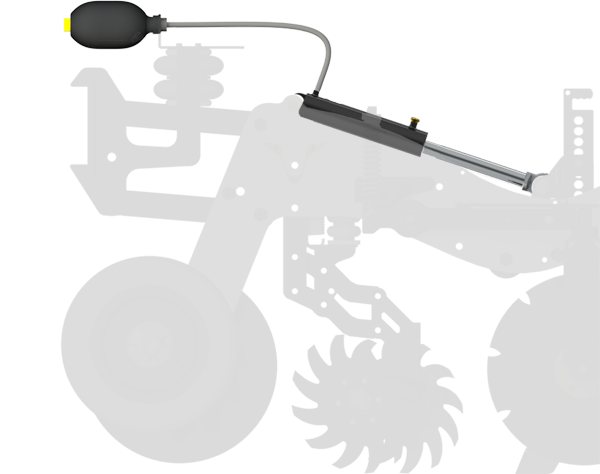 Each unit is connect to the tool bar by a parallel linkage with pneumatic down pressure to insure consistent depth. The pressure applied on the air bag is adjustable, on the move from the cabin, thanks to the in cab control box. The pressure can be set up to 1200 lbs. This allows working speed up to 10 mph to get the accurately and quickly. Two concave discs, placed at the right angle, will turn very easily and push material to the side. Also separate both discs and you get the insurance of a perfect clean seed bed. 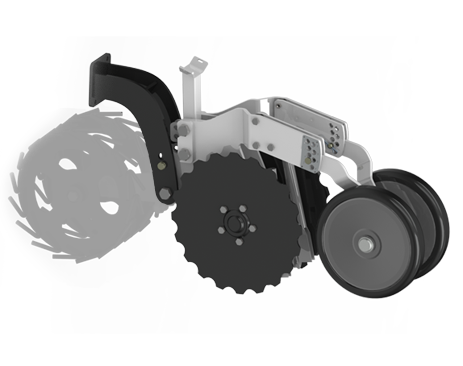 To be even more efficient the row Cleaners can be mounted on an independent parallel linkage, with pneumatic down pressure. You can adjust the aggressively on the go, from the cabin! Whether you run in heavy corn stalk, live crop crops or very light residue, you will easily find the right setting in seconds for a perfect job: push the trash away while keeping the soil on the strip. 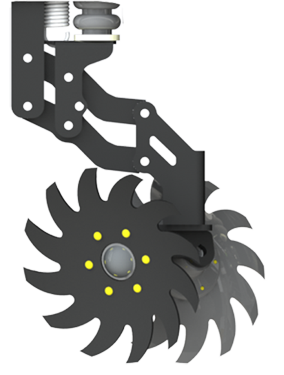 As standard, units are equipped with a SHIELD 16” Shank with an interchangeable point. 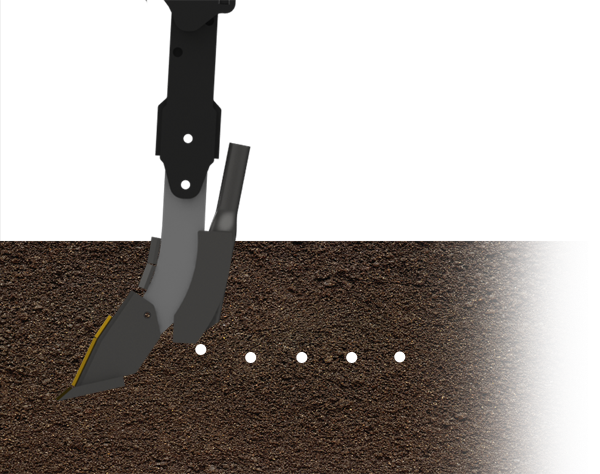 Tillage depth is adjustable from 3” to 11“. You can choose from three different points with different agresssion: STPO / DFPO / 500 POC. 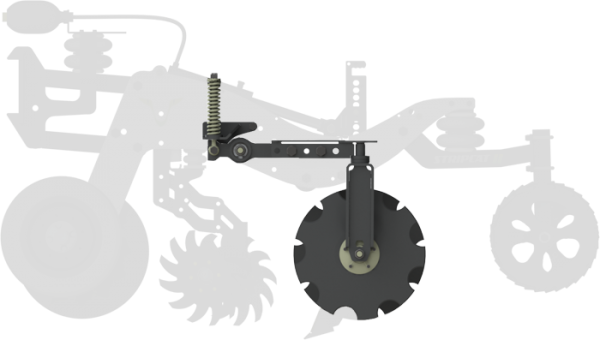 For the farmer who wants to either refresh their strips in the spring, or move closer to no-till, we can provide a double wavy coulter and/or a vibro shank kit to till a minimum depth and create the perfect seed bed with a level finish ready for planting. As standard, the unit is equipped with a shear bolt security. 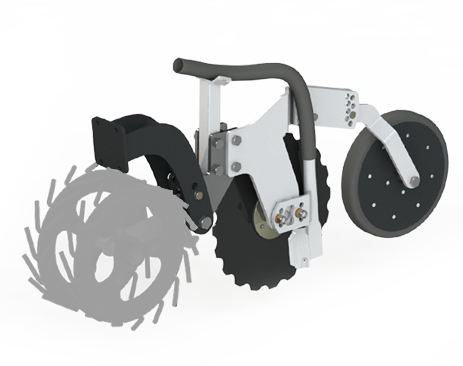 For rocky conditions, the unit can be delivered with an optional hydraulic auto-reset system. Each cylinder is connected to an individual hydraulic accumulator for great and smooth reactivity. This system, adjustable from zero to 1500 PSI allows efficient and smooth tripping in even the toughest conditions to minimise your downtime. One of the best advantage of strip-till is to localize fertiliser. Thanks to our partners, the machine can also be deliver, field ready, with dry, liquid or ammonia fertilizer tanks. The pressure on those discs is also adjustable via a spring. These arms allow the machine to be set as narrow as 18” if needed, while being able to operate in even the toughest of residues. Our experience in farming taught us that the packing is essential while strip tilling. In a fall operation, you want to be able to crumble the soil, or even disengaged quickly any packing system, while in the spring, you may want a heavy packing system to close the ground and keep the moisture. To do so, we offer three different packing systems, all controlled by an air bag, adjustable from the cab, able to apply up to 1200 lbs pressure. 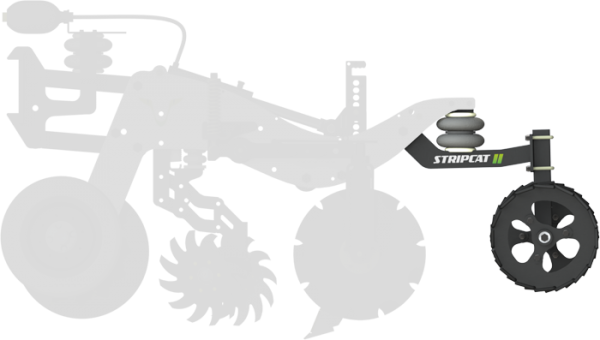 Have you thought about strip-tilling and drilling at the same time? You may want to be able to striptill and drill at the same time in some cases. We consider that most of the time combining strip-tilling and planting crops like corn or sugar beet, is not easy and should sometimes be avoided. 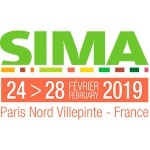 But, when it comes to cover crops or Canola, the idea of doing both operations at the same time becomes very interesting. 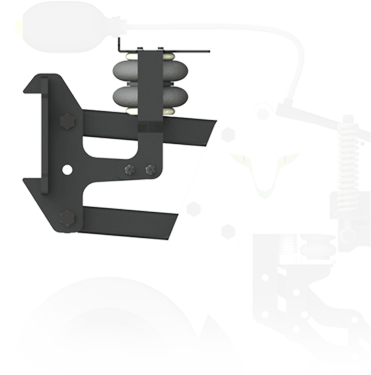 We have created a seeding unit, single or twin row, that bolts on the packing arm of the unit. Connect to a seeder tank, you can then decide to plant each side, or right in the middle of the strip. 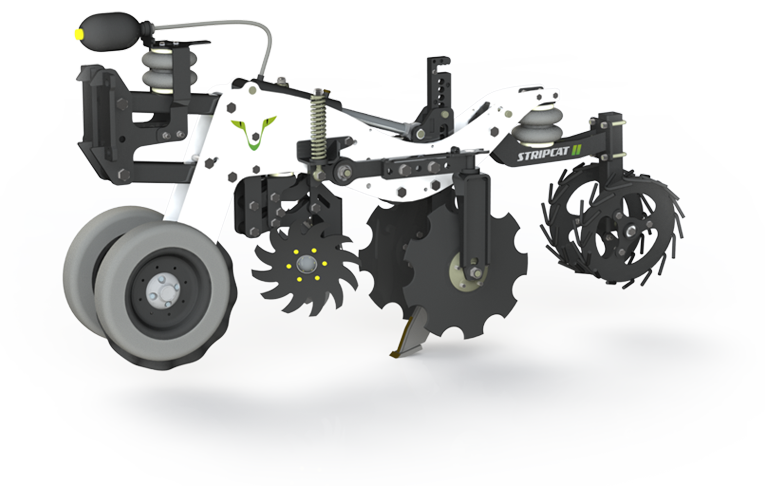 The seeding unit works on a bogie concept: the unit is built around an axle: Press, seed, press. 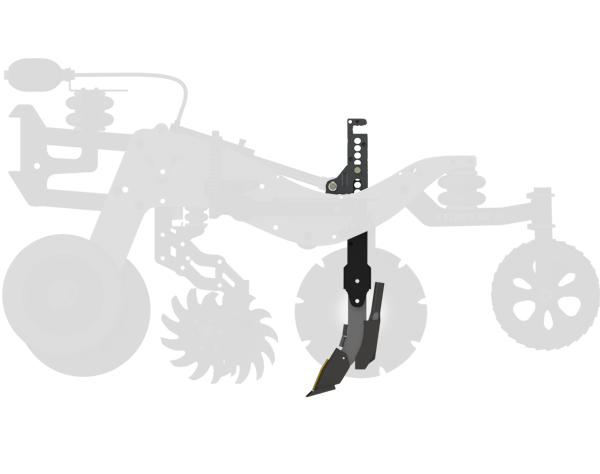 This gives the insurance of an accurate depth control that you can adjust thanks to the pin above the closing wheel. perfect for pivot crops such as Canola. or the left thanks to quick adjust spacers. You can drill each side of the tilled strip, with a spacing of 6" to 8". For example, this is perfect to establish a cover crop while strip-tilling in the fall, and having a clean "residue free" strip in the spring allows better soil warming. It also allows you to plant narrow soybeans with a 30" striptill spacing sue for corn. One idea ? One project ?